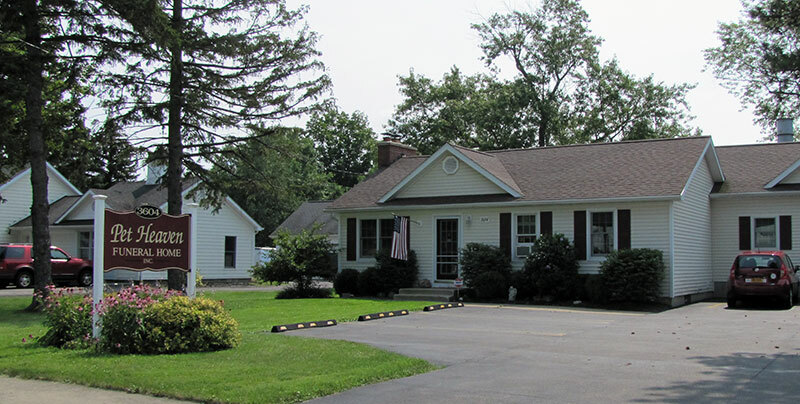 Pet Heaven Funeral Home is located in beautiful Orchard Park, NY just off of the 219 expressway. Pet Heaven provides a choice for clients with their pets’ pre-loss and afterlife care. We understand the sorrow that one feels when their beloved companion passes because we have been there ourselves. Everyone in there was absolutely amazing! After dealing with the untimely death of our cat and being stricken with grief, they were able to provide a tremendous amount of comfort to us. My wife and I can’t say enough good about the staff and how they treated our baby as if he was their own. I hope no one has to go through the pain of losing their pet but if you do this is where you need to go! Thank you, Pet Heaven, for all you guys did!